Hope everyone is enjoying their spring! I am just getting back into sewing after taking a personal break to move and reorganize my life. So happy to be back with my sewing machine! Last night, I decided to make myself a super simple toiletry bag to toss in my gym bag. 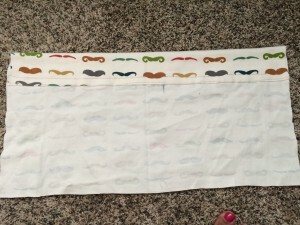 I have a few zipper ones but I like the drag string toss and go idea for my toiletries. 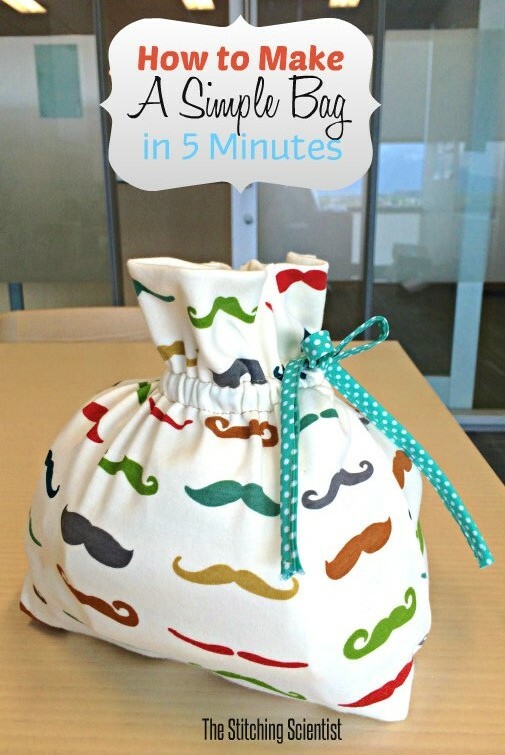 This bag literally took me about 5 minutes to make! The reason why it’s so fast is because it is made with knit fabric that does not fray. This is something a child can do or a beginner to practice sewing. 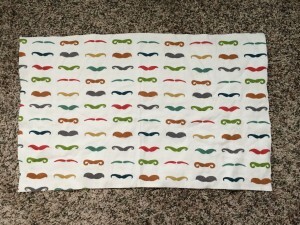 This novelty knit fabric can be found at modes4u fabric store. 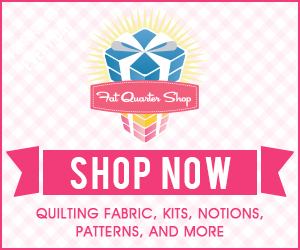 If you guys haven’t heard about this fabric store. You need to check them out. They have a ton of Asian and novelty fabric that you usually can’t find in American stores. 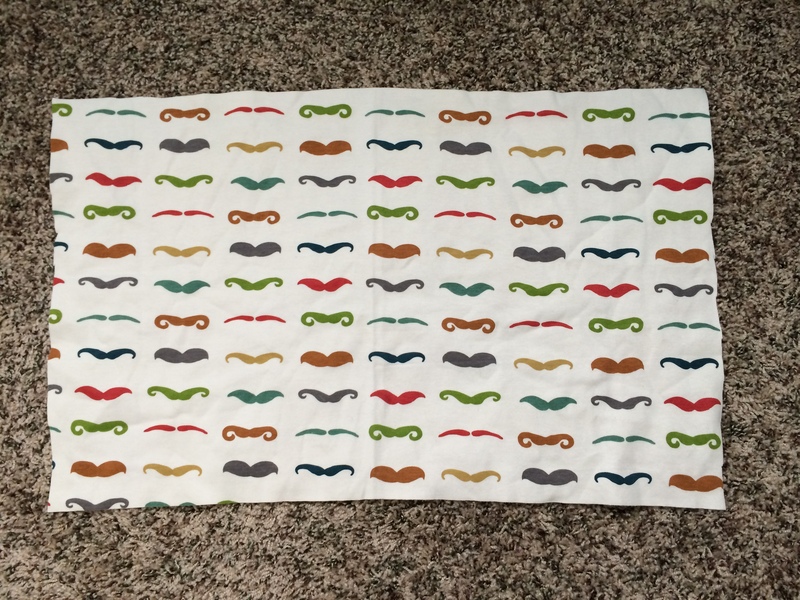 I am planning on getting a few yards of some unique patterns that I will show off on the blog in the summer. Seriously! 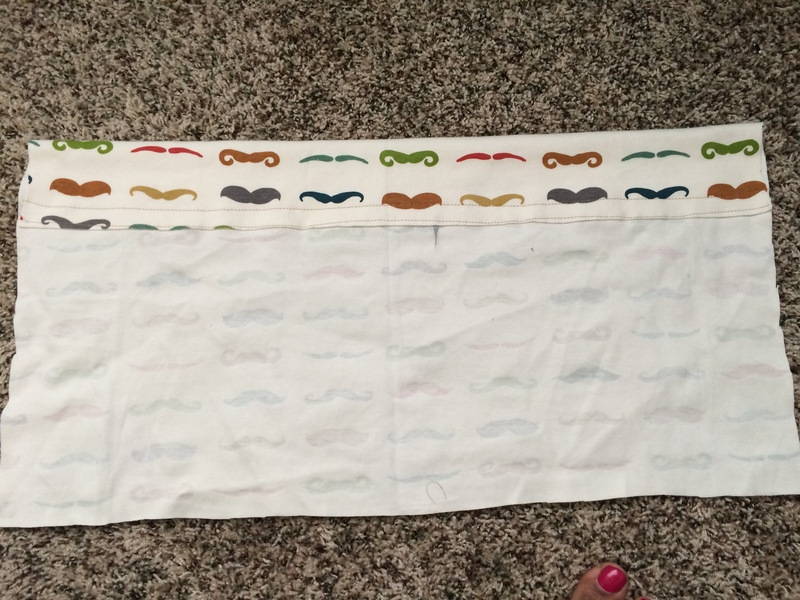 How adorable is this mustache knit fabric! I love all the colors and pattern. It can be coordinated with almost any other color. 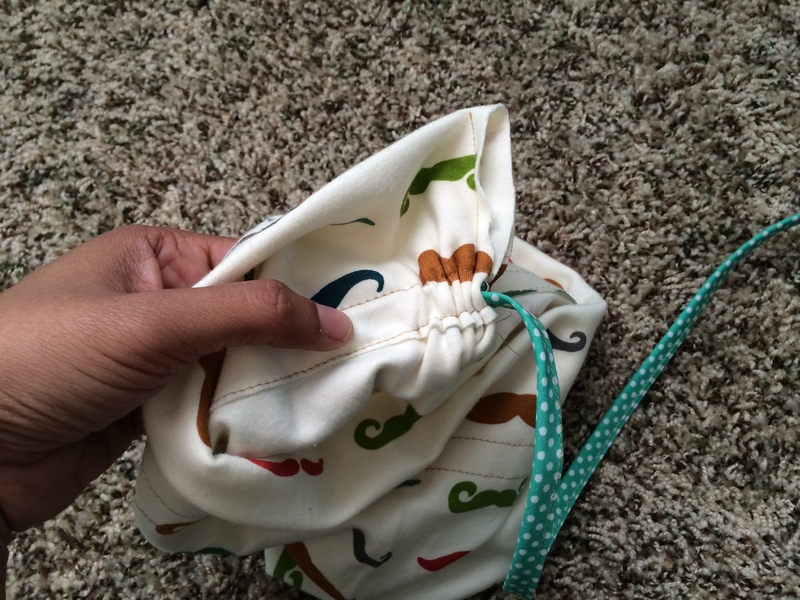 My little bag measures about 10″x8″ but you can use the tutorial to make any size you need. A 20″ ribbon about 1/2″ wide. 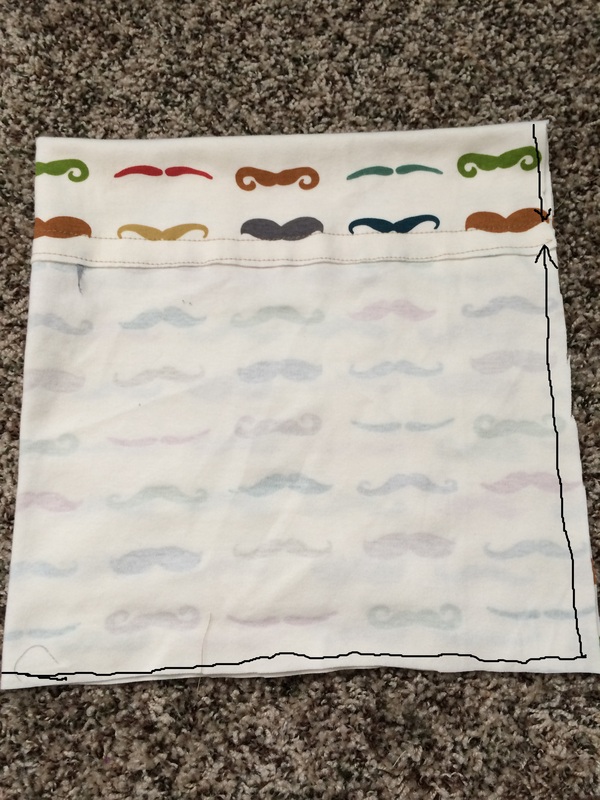 Cut a rectangle out of your fabric. Mine was 10×20″. 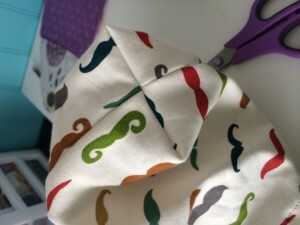 Fold the top down about 4″. 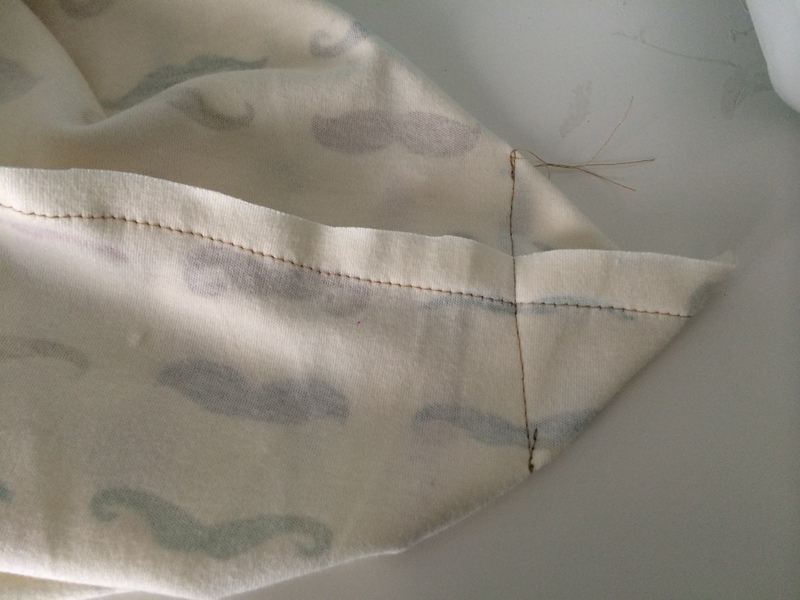 Sew two straight lines. One at the edge of your fold and one about 1″ from the edge. 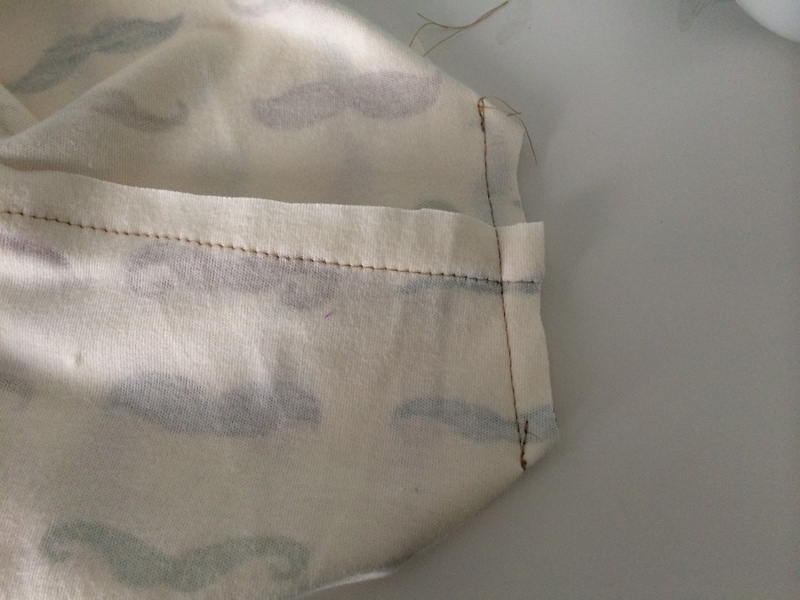 Fold your fabric over right sides together and sew all the way around the side and bottom leaving the 1″ opening where you sew your lines. Next form a small triangle on each of your bottom ends. 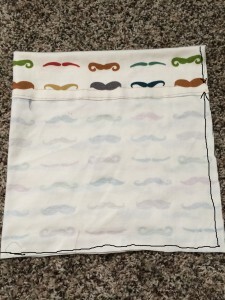 Sew down about 2″ from the edge and cut off the remaining. Take a pin and pull through your ribbon through your 1″ opening.